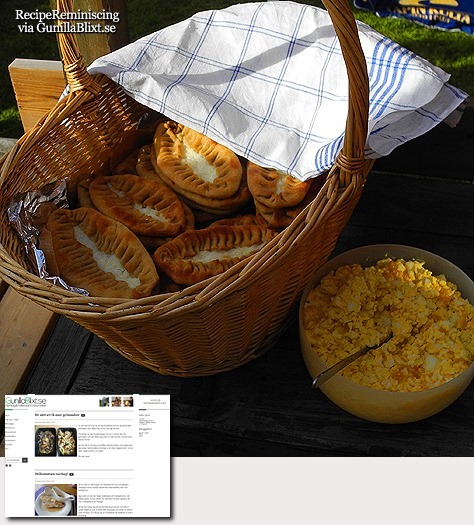 Pirogues is actually originally a Russian pastry butter dough with meat, cabbage, jam and the like. 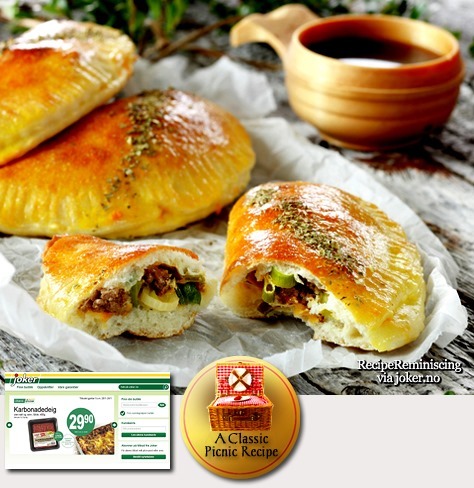 These pirate pirogues are inspired by the Russian cuisine. 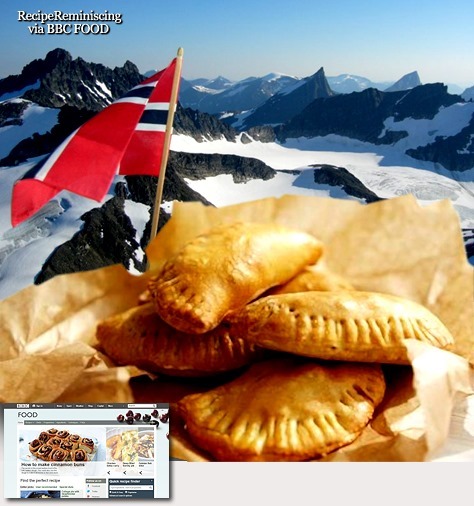 The Hairy Bikers writes about the recipe: Every country has something like these little pies – Polish pirogues, Indian samosas, Spanish and Argentinian empanadas – and this is Norway’s version, made with Jarlsberg cheese and caraway seeds for that special Norwegian flavour. We give these dix points! If you’re a lazybones you could use puff pastry, but you’ll end up with something that’s more like a fried pasty. Try these as a great little starter or beer blotter. Gunilla Blixt, chef and food writer writes on the blog: Those of you who know me know that I’m omnivorous and I love to eat vegetables, meat, poultry, fish, well, everything that can be eaten. Last year there was much debate about the fact that we should eat more vegetables, and I agree. It does not mean to stop eating everything else – Just a tip! Karelian Pirogues are called Karjalan piirakka in Finnish. From the beginning they were a way to take advantage of food scraps and make a packed lunch that was easy to pack. They are filled either with rice or potatoes and they are at their tastiest lukewarm with egg butter.